I feel very lucky to have such a lovely bunch of loyal, regular readers here on my blog who inspire me to continue creating great content. 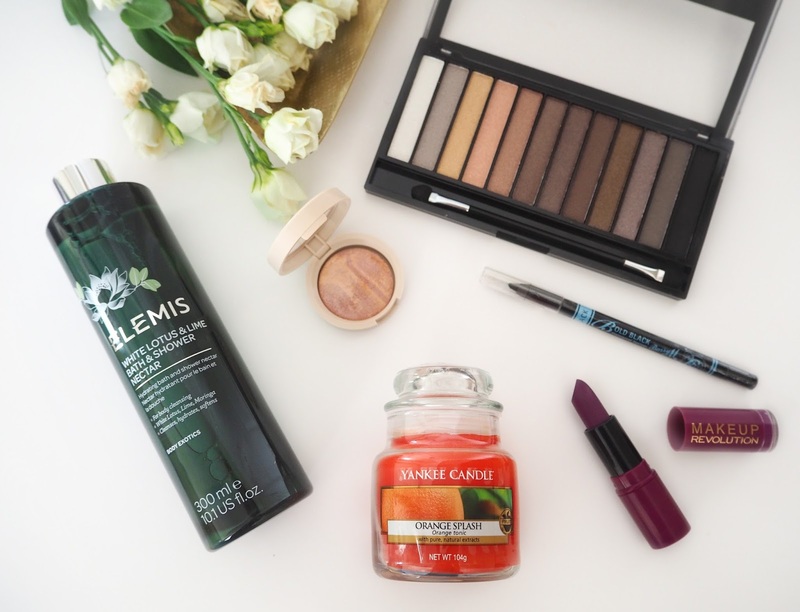 So as a Spring treat from me to you I'm giving away a 6 piece bundle of lovely products! Elemis White Lotus and Lime Bath & Shower Nectar: A full size (300ml) of this exotic new Elemis fragrance. 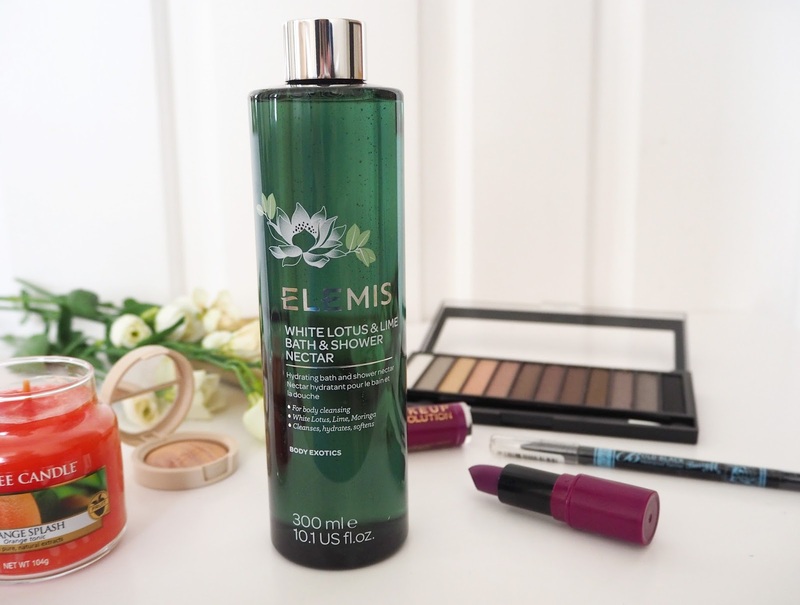 "Nourishing Moringa oil is blended with aromatic notes of Lime and dedicate White Lotus to leave the skin feeling soft smooth and hydrated." Small Jar of Yankee Candle Orange Splash: A bright and zesty fragrance for spring and summer! With a burn time of up to 40 hours. Described as "Like a burst of golden sunshine ₀ the bright, sparkling aroma of juicy, just-picked oranges." 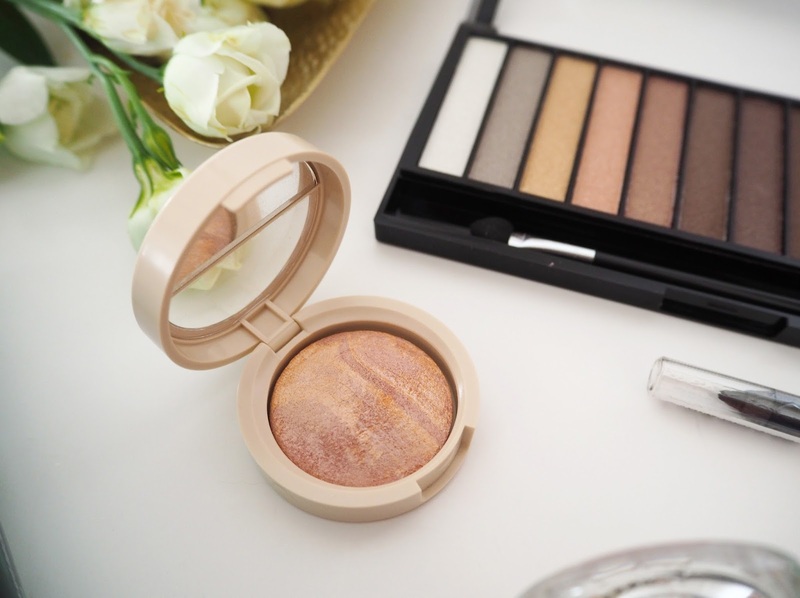 Laura Geller Honey Lavender Highlighter: A beautiful Baked Brulee Highlighter in a contemporary lavender/champagne shade - trust me it's stunning! Barry M Waterproof Black Eye Liner: A luxurious jet black eyeliner with a smooth as a liquid application, waterproof and super long lasting with more than 8 hours wear! 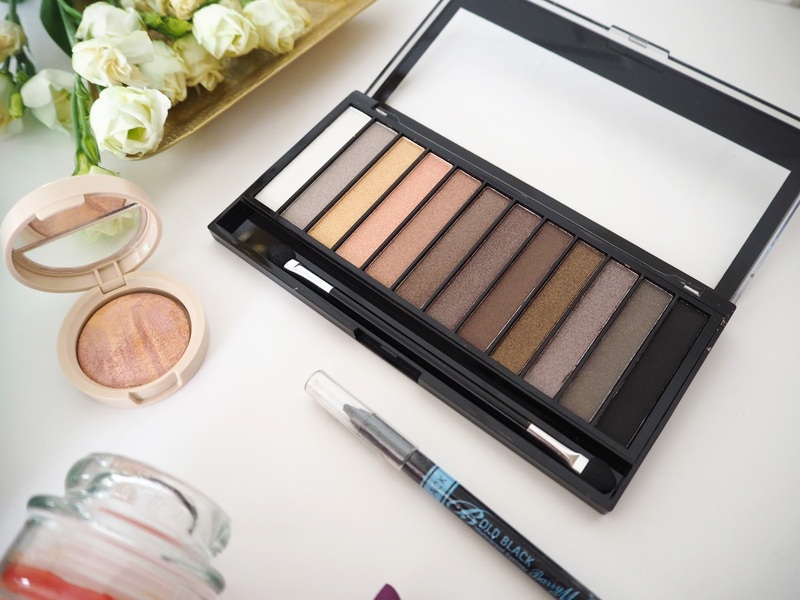 Make Up Revolution 'Redemption' Eye Shadow Palette: A highly pigmented eye shadow palette full of a mix of pearl, shimmer and mattes in neutral and smokey grey shades. 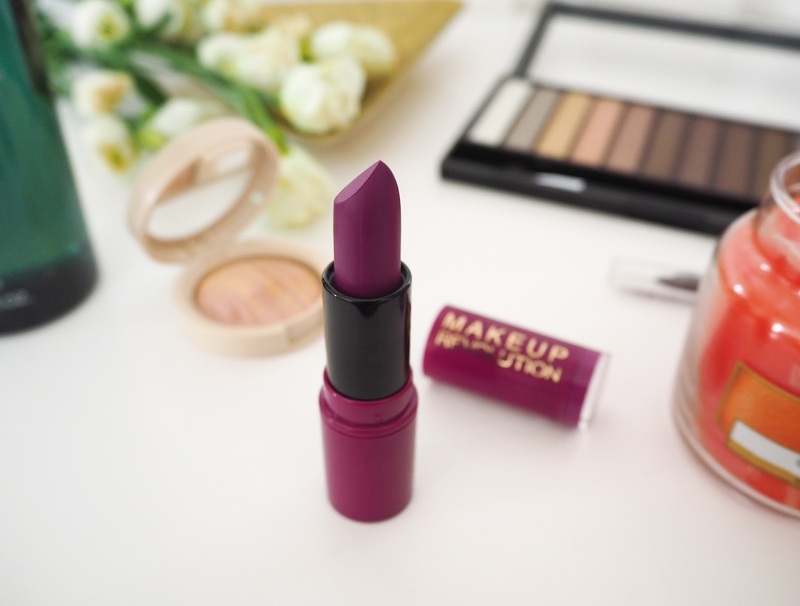 Make Up Revolution Purple Lipstick: This colour is so beautiful, vibrant and perfect for the upcoming festival season! Note: All these products where chosen & purchased by me. All you have to do to enter is to scroll down to the bottom of the post to find the entry form. There you will gain entries for following, liking and subscribing to my various social media channels. However what I would like most of all is for you to leave me a comment on 2 OR MORE of my previous blog posts! Check my archives located in the sidebar to your right. As my lovely readers I’d really love to know what kind of posts you are most drawn to reading? I’d really love to know your opinions as my lovely readers. For example ~ My monthly Loves Lists, Outfit of the Days, Make Up & Skincare Reviews etc. For this you will gain FIVE bonus competition entries! My giveaway is open from 8th of May - 31st of May 2017. Entries will be verified and then the winner will be selected on the 1st of June and contacted via email. If however the winner does not reply within 3 days it will be considered unclaimed and a new winner will be selected. Anyone is eligible to enter this is a worldwide giveaway. What is your favourite product on offer in the Giveaway? I'm intrigued by that highlighter! 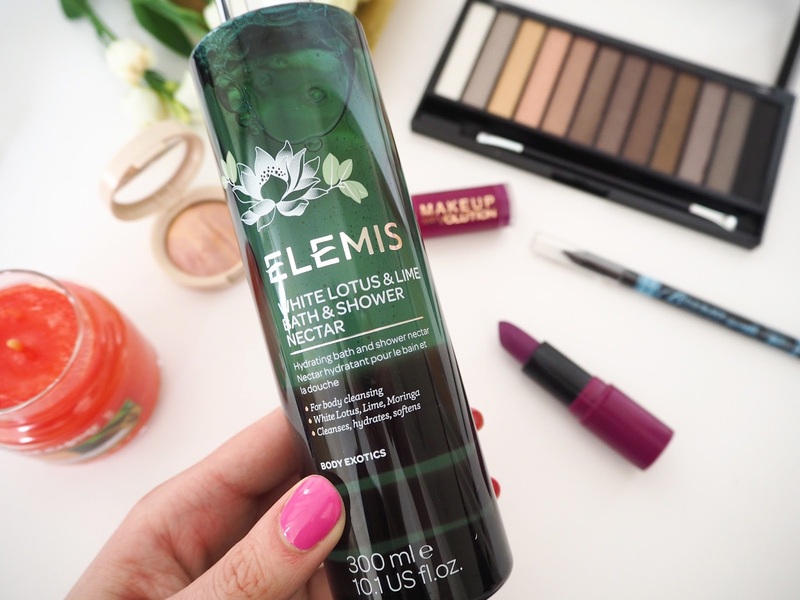 I would love to try the Elemis White Lotus and Lime Bath & Shower Nectar ! You're too kind Katie, all these goodies look fab!